A bathroom is one of the most important rooms in the home. It's where you relax and unwind in a hot bath, where you get ready for the day and where you perform your beauty regime! 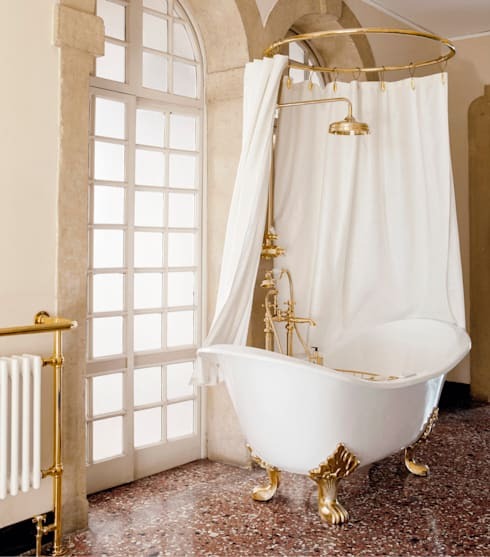 So today at homify, we are going to show you 14 unbelievable bathrooms that will make you fall in love with beautiful bathtubs, gorgeous sinks and fabulous flooring. 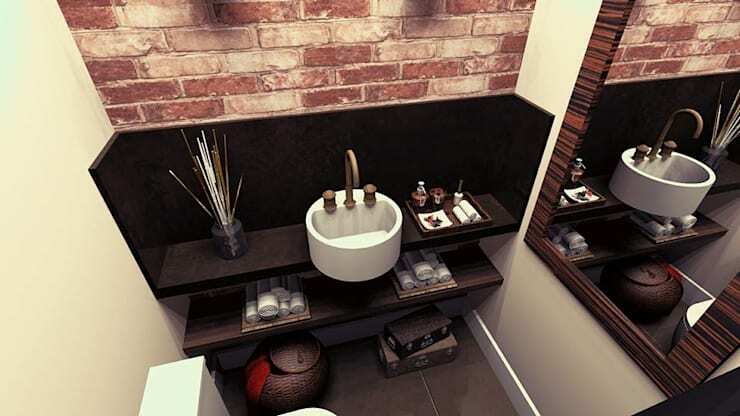 We are going to see how all of these features come together in perfect harmony, creating bathrooms that look like they come out of the pages of a magazine. Let's go and explore them! This bathroom is built in a narrow space, but that doesn't meant that the designers have compromised on style or trend. They've created a long shower space and positioned a large, egg-shaped bath in the corner of the room. A stone facade, like this one, is a wonderful addition to any bathroom. It creates a warm, earthy look and feel. You'll feel like you are one with nature every time you step in the bathroom! 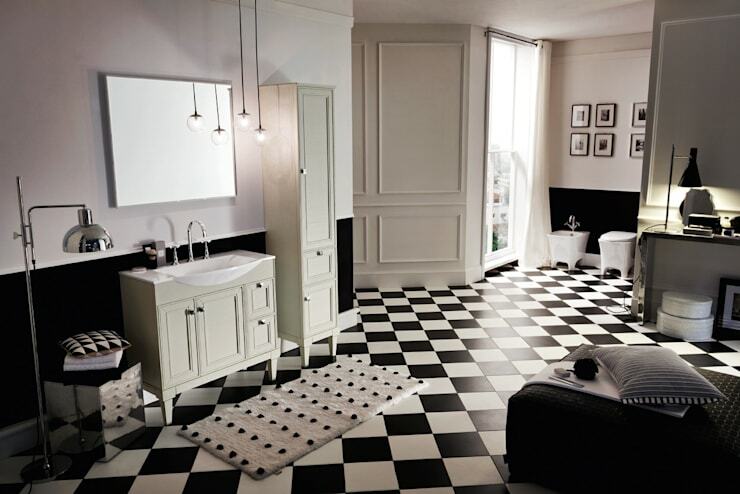 Black and white is a fabulous design for the bathroom. 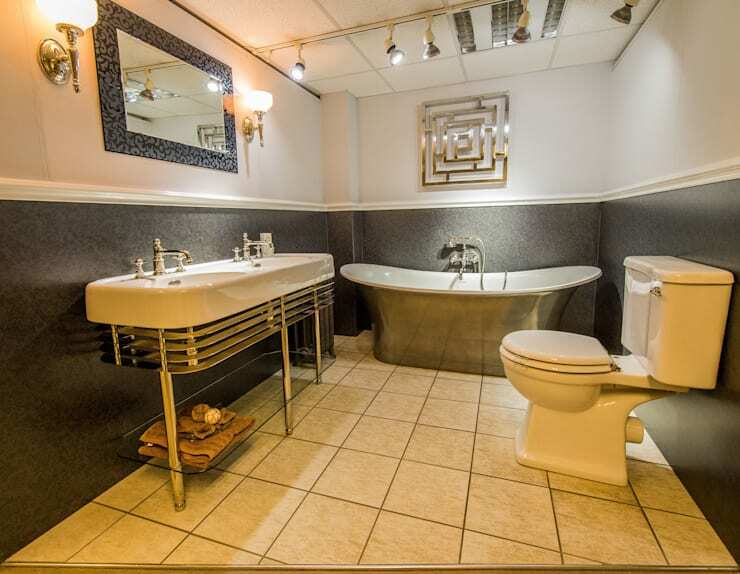 Look how trendy and stylish this bathroom is! 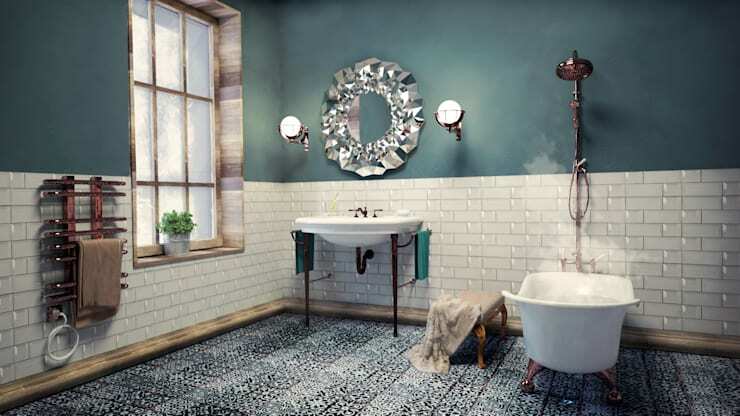 If you like a bit of colour and character in your bathroom, opt for linoleum floors like this one. Pair with a modern tub and basin, and you've got yourself a one of a kind bathroom. 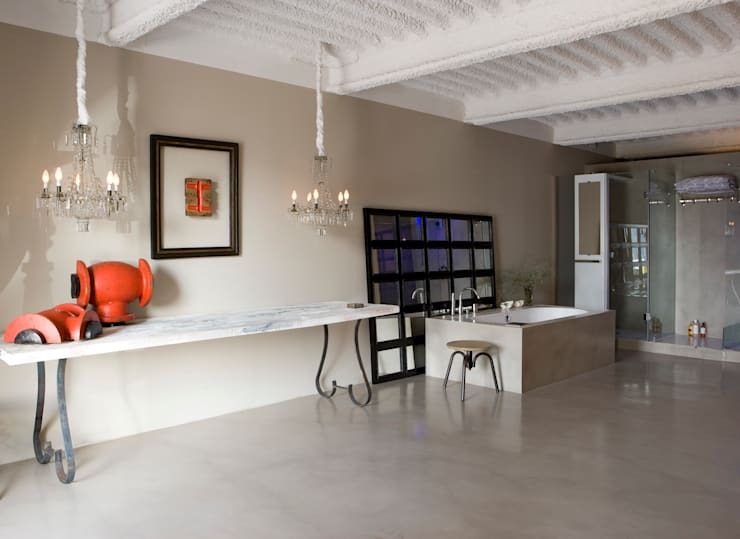 Introduce marble into a bathroom to create an elegant, classy and timeless design. It can be subtle—just one wall like in this design—or it can be used throughout the counter tops. Also have a look at how to boost your bathroom in an afternoon. In marketing there's an anagram: KISS. It stands for Keep It Simple Stupid. In this design we can see how simple can be the most effective. Wood, glass and black tiling come together here in perfect harmony. If you have the space, include a comfortable chair or sofa in your bathroom space. You can sit while you brush your teeth. 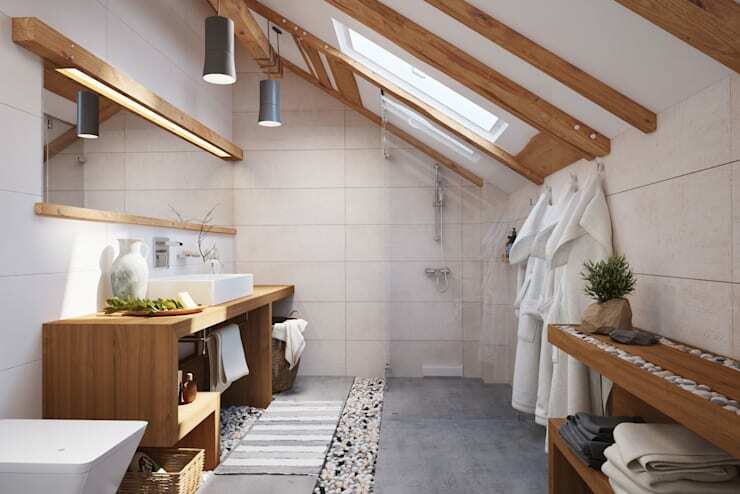 Remember that your bathroom is your space, so make it as cosy and functional as you like. How gorgeous is this bathroom with its rectangle tub and sink? You can be a bit of a rebel when it comes to design, so don't just go with the same old. Search for unique elements that will distinguish your home, your bathroom and your style from everyone else's. Lighting is incredibly important in the bathroom as you want to be able to clearly see when you are putting your make-up on, but you also want a soft glow and some ambiance when you are soaking in a hot bath. Have a look through the homify bathroom lighting products for inspiration. 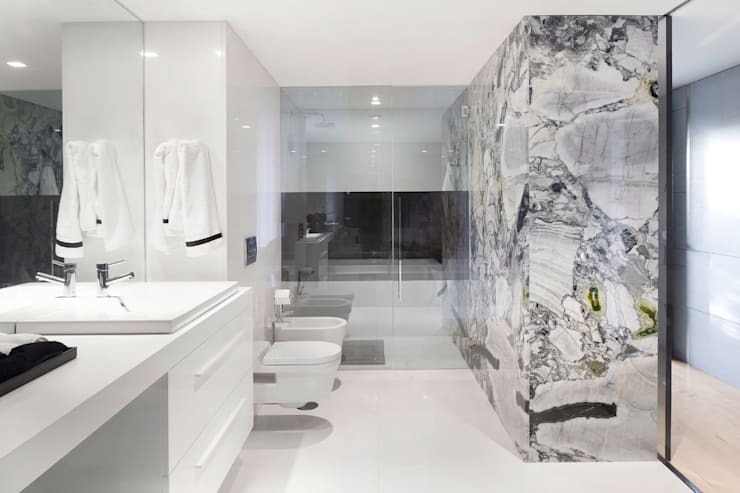 Your bathroom can also be a creative space where you can hang up photographs or art pieces, like in this design by Sovereign Bathroom Centre. 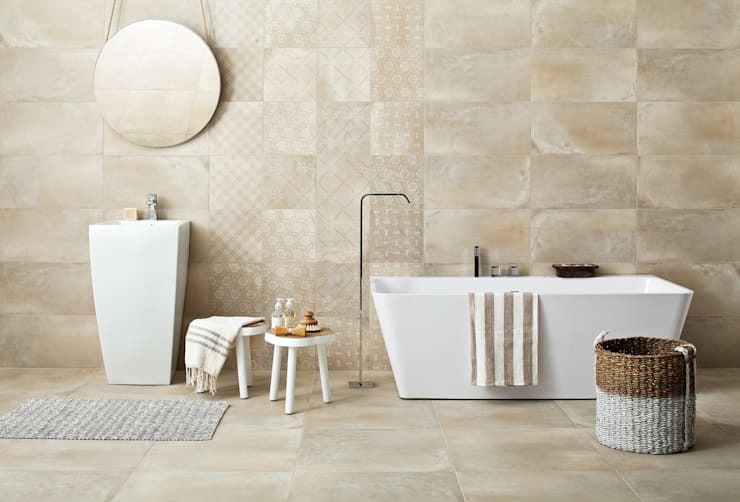 Choose original pieces that transform your bathroom into a unique space that is truly yours. 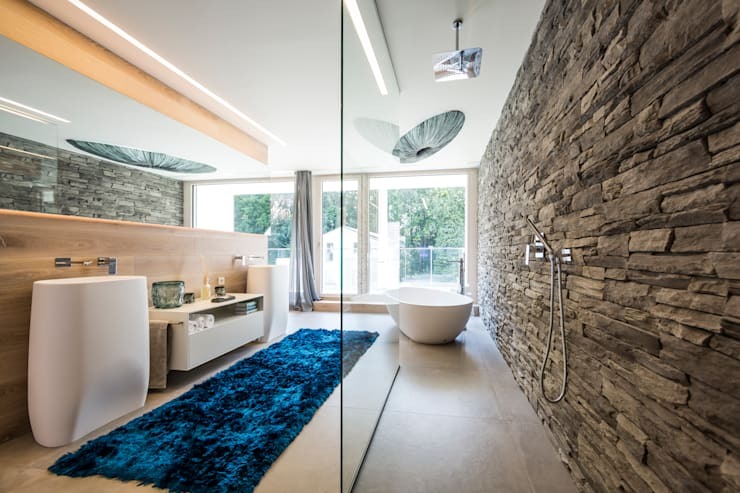 The interior of your home can always do with a touch of natural light and the bathroom is no different. Include a skylight or large glass windows or doors, allowing natural light to warm up the entire room. Not only will this create a very homely and cozy environment, but you'll save money on your electricity bill too. 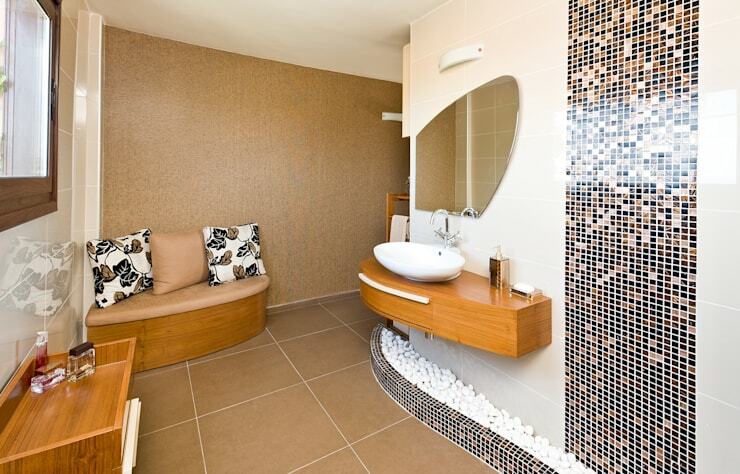 This is a design that dazzles, thanks to the sparkling wall tiles and the mirrors that reflect the tiles. 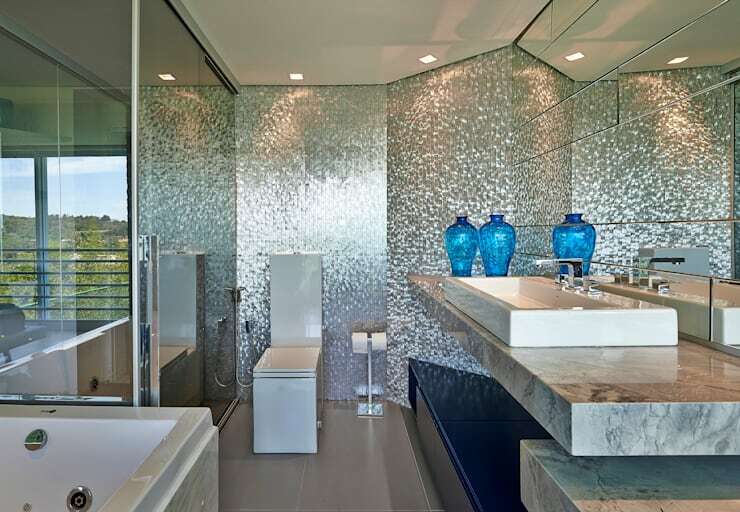 Your bathroom doesn't have to be subtle or neutral if you prefer a little more bling in your life. Opt for detailed lighting, sparkling decor items and a flair of personality! This design, by SIMPLE-ACTITUD, is an example of how you can include a little dazzle in your bathroom more subtly if you so wish, if the sparkling tiles are a bit too much for you. Include some modern and trendy lights or a sparkling mirror like this one and you have yourself a bathroom that looks like one that Cinderalla would use. No matter what style bathroom you go for, be sure to include some smart storage solutions. Your bathroom should look clear and neat at all times, so you want to keep all of your personal items such as make-up, toothbrushes and deodrents out of sight. A cupboard under the sink or behind the mirror is the perfect solution! You can also go for drawers, like the designers have done here. Have a look at these brilliant, beautiful bathroom trends. The features in the bathroom should be as aesthetically pleasing as they are comfortable and the tub is no exception. You want a tub that is going to be inviting and relaxing, while enhancing the design of your bathroom. This tub is the perfect example of beautiful and functional design. Don't you love the gold touches? 1. Add candles and incense to create a beautiful and soothing ambiance. 2. Always make sure you have bath salts or bubble bath next to the tub. 3. Invest in some high quality hand soaps and hand creams so that your guests feel like they are at a hotel when they use your bathroom. How have you made your bathroom unbelievable?